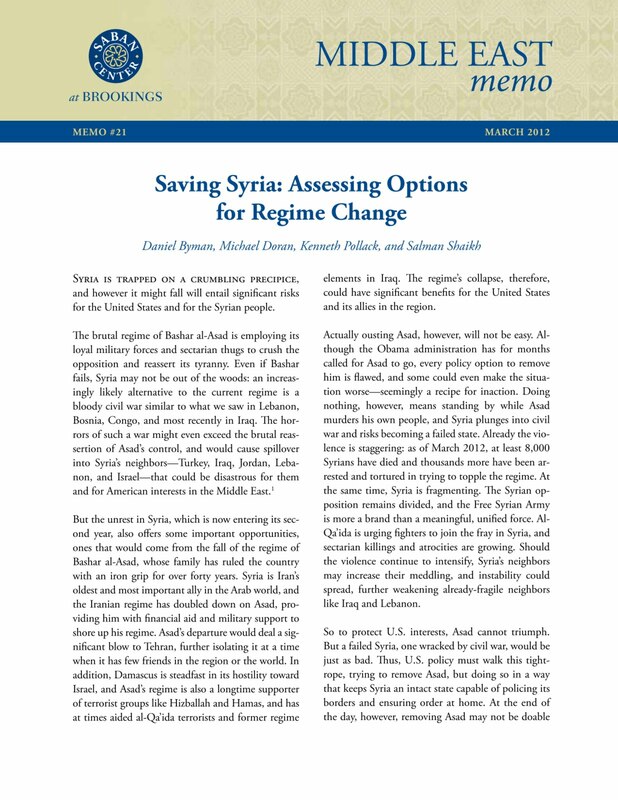 April 18, 2017 (Tony Cartalucci - NEO) - The United States - according to Western media sources - has shifted priorities in Syria, no longer focusing on regime change aimed at Damascus. 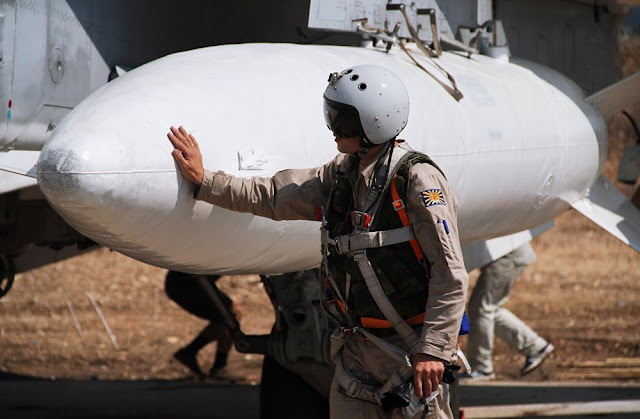 However, in reality, it is not a shift in priorities, it is recognition that US ambitions in the Middle East have been thoroughly disrupted by Syrian, Russian, and Iranian resolve. The US must now resort to pursuing secondary courses of action - no less malicious in intent or ultimate outcome than its original plan which has left a region at war since 2011, killed tens of thousands, and displace or otherwise disrupted the lives of millions more. The United States' diplomatic policy on Syria for now is no longer focused on making the war-torn country's president, Bashar al-Assad, leave power, the U.S. ambassador to the United Nations said on Thursday, in a departure from the Obama administration's initial and public stance on Assad's fate. Do we think he's a hindrance? Yes. Are we going to sit there and focus on getting him out? No. What we are going to focus on is putting the pressure in there so that we can start to make a change in Syria. That "change in Syria," however is verbatim the partitioning of the nation that began under the previous administration of former US President Barack Obama. It is essentially the secondary objective laid out by corporate-financier funded US policymakers as early as 2012 when initial attempts at lightning-fast regime change failed and the Syrian conflict transformed into a protracted, highly destructive war. 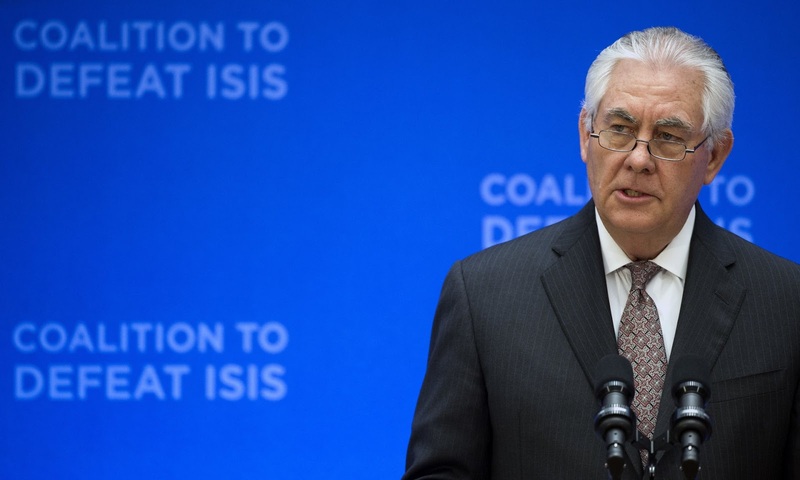 Rex Tillerson has said the United States would set up “interim zones of stability” to help refugees return home in the next phase of the fight against Islamic State and al-Qaida in Syria and Iraq. The US secretary of state did not make clear where these zones were to be set up. He was addressing a meeting of 68 countries and organizations gathered in Washington to discuss accelerating the battle against Isis. The notion that the US is in Syria to "fight the Islamic State" is a documented absurdity. It was the US and its allies, by their own admission, who sought the creation of a "Salafist principality" in eastern Syria precisely where the Islamic State now exists. The militant proxy maintains an immense fighting capacity possible only through equally immense, multinational state sponsorship - provided by the US and Europe and laundered through their regional allies in the Persian Gulf - primarily Saudi Arabia, Qatar, and the United Arab Emirates (UAE). Funneling weapons, supplies, and additional fighters to the Islamic State has been for years carried out by NATO-member Turkey which maintained extensive logistical networks connecting the Islamic State's foreign sponsors to the Syrian territory it was occupying. Upon Russia's entry into the conflict in late 2015, these logistical networks have been targeted by Russian air power, disrupting them and contributing directly to the Islamic State's now waning strength across the region. 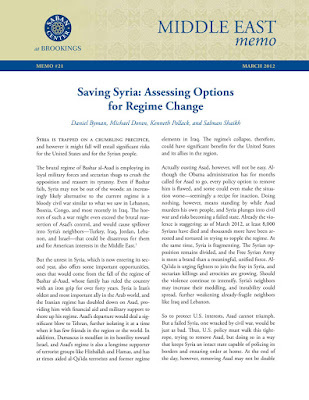 US intervention now serves two purposes, to maintain the defacto partitioning of Syrian territory the Islamic State's presence contributed to by replacing defeated Islamic State forces with US forces - and to portray the US as having "defeated" the very terrorist proxy front it created in the first place and perpetuated as long as logistically, politically, and militarily possible. US Secretary of State Tillerson's reaffirmation of US policy rolled out during the Obama administration is yet another illustration of "continuity of agenda," and how special interests on Wall Street, not politicians in Washington, steer US policy at home and abroad and explains how two apparently politically diametrically opposed presidents have maintained virtually the exact same policy over the course of six years and counting. And while the US clearly lost in its bid to outright overthrow the government of Syria, it continues pursuing an agenda that will divide and destroy the Syrian state through every means available. Continued exposure and resistance to both this agenda and the special interests ultimately driving it is essential to ensure this aspect of US ambitions in the Middle East fails as well.